Clapham Barbers was founded by a guy that wanted a great grooming service. He decided to create a brand of his own by providing locals in his area with top quality men hair cuts and grooming. 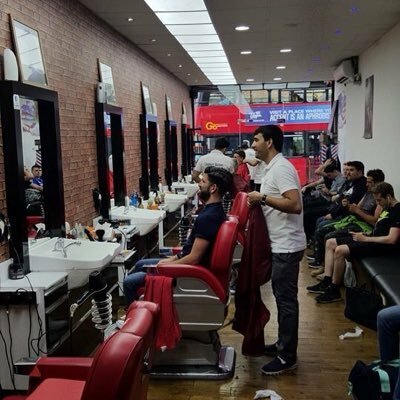 We are Professional Barbers located in Clapham. All customers welcome for a professional experience. We try to suit all client requests ( if you are looking for a specific request please inform our staff and they will try their best to provide you your requirements). We aim to provide a quality service, a relaxing escape and proper grooming at a great price. Products used here include Fudge and American Crew brands. All age groups welcome! All clients are welcome. We accept all walk ins. NO APPOINTMENT NECESSARY! The actor and playright Noel Coward moved to Clapham in 1912, living at number 50 Clapham Common Southside with his family who rented the top two floors.